Preterm labor, also known as premature labor, is a very serious complication of pregnancy. This is defined as labor that begins prior to 37 weeks gestation. Unfortunately, many women do not understand the signs of preterm labor. Early detection can help prevent premature birth and possibly enable you to carry your pregnancy to term or to give your baby a better chance of survival. While some women are at a greater risk of preterm labor, it can happen to anyone in any pregnancy. This is why it is important to know the signs of preterm labor. Often, the sooner you can report that you're experiencing symptoms, the more likely it is that your labor can be stopped. If you experience any of these, you should call your practitioner right away. Call even in the middle of the night. You should have an emergency number but, if not, go to the nearest emergency room for care. Some women make the mistake of thinking that they couldn't be in labor because they aren't near their due date and so they don't call. This is not the way to think about it, so even if you're not expecting labor, if you think you might be in labor, get help immediately. While not all cases of preterm labor can be prevented, there are a lot of women who will have contractions that can be prevented or deterred by simple measures. One of the first things that your practitioner will tell you to do if you are having contractions is staying very well hydrated. We definitely see the preterm labor rates go up in the summer months and in women who are dehydrated. With dehydration, the blood volume decreases, therefore increasing the concentration of oxytocin (a hormone that causes uterine contractions) to rise. Hydrating yourself will increase the blood volume. Others things that you can do would be to pay attention to signs and symptoms of infections (bladder, yeast, etc.) because they can also cause contractions. Keep all of your appointments with your practitioner and call whenever you have questions or symptoms. A lot of women are afraid of "crying wolf," but it is much better to be incorrect than to be in preterm labor and not being treated. There are a lot of variables to managing preterm labor, both in medical options and in terms of what is going on with you and/or your baby. Here are some of the things that you may deal with when in preterm labor. The keys are prevention and early detection. Make sure to ask your practitioner to describe the signs and symptoms of preterm labor to you and your partner at your next visit. 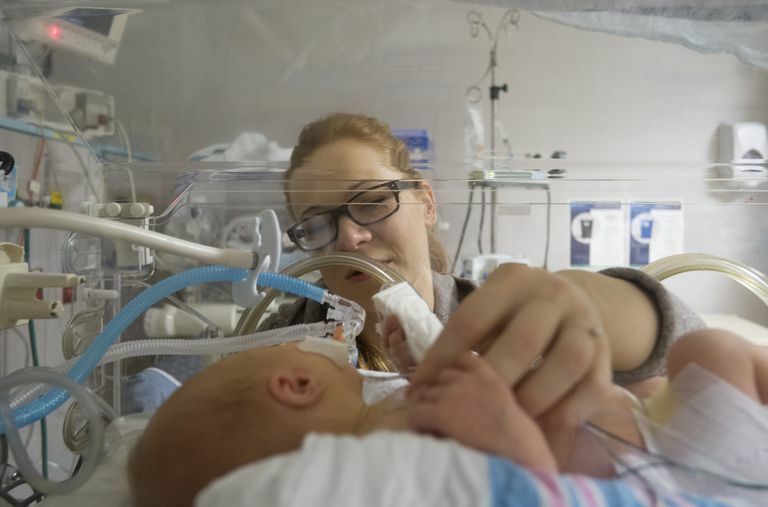 If you know that your baby or babies are likely to be born early, you may be offered a tour of the neonatal intensive care unit (NICU). You might also have an opportunity to meet with specialists who can help with your care. Preterm labor and premature birth, March of Dimes, October 2015. Can Premature Labor Be Stopped Once It Has Begun?